Have 3 straight razors to unload after some car bills came up. Prices are shipped CONUS and Canada. They include G&S fee in this. I will ship to Europe but is about $10 more shipped DHL with no tracking. All razors are shave ready. 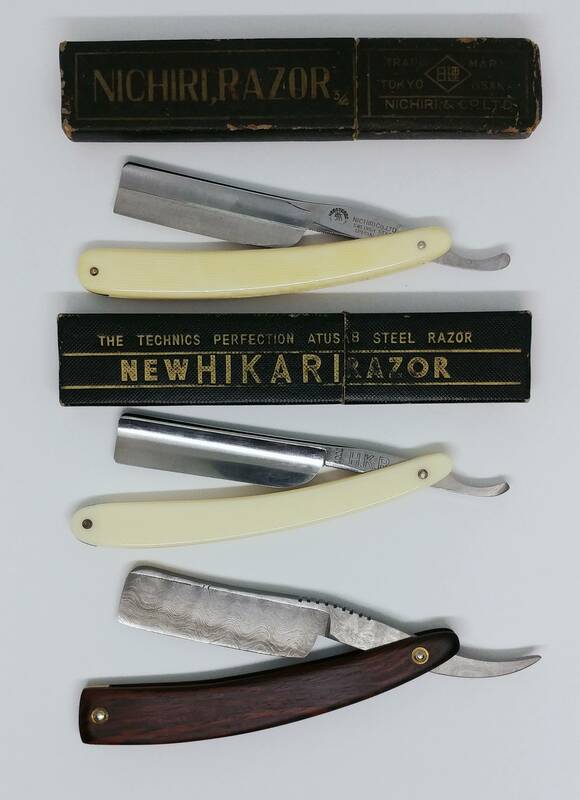 The first 2 razors I honed with the following progression: Naniwa 1k-3k-8k, Okudo JNAT, Nakayama JNAT. Stropped on Kanayama cordovan strop. The edge is on the smoother side. Was NOS when I got it. Not 100% sure on the maker but it's either Tanifuji or Nirichi, both are great razor makers. 15/16" ALE Damascus - 1/4 Hollow - Cocobolo scales. This is made by a Canadian blade maker outside of Montreal, Quebec. Hand forged, very heavy grinds and just mows down heavy growth like nothing is there. This was his early attempt at Damascus and that's why the price is low because I was given it at a low price. Bump and price drop. Take $10 off each price above, I need these gone. ALE and Hikari sold. Just the Frameback left.